In a large skillet, sauté onions and garlic in butter until tender about 5 min. Reserve. Meanwhile, peel potatoes and grate into shreds. Rinse shreds with cold water and drain well. 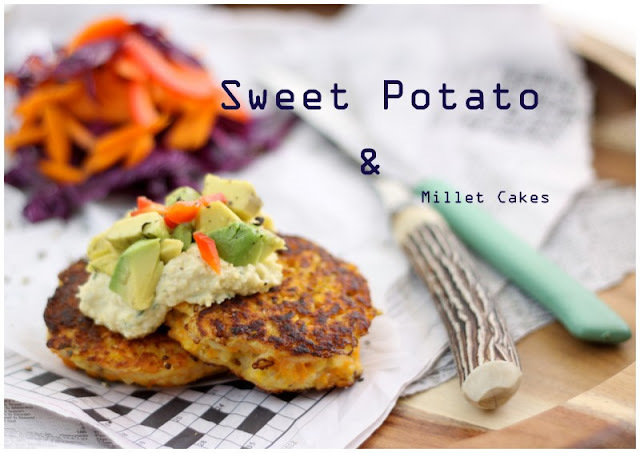 You can add to the flavor of your potato pancakes in a variety of ways. 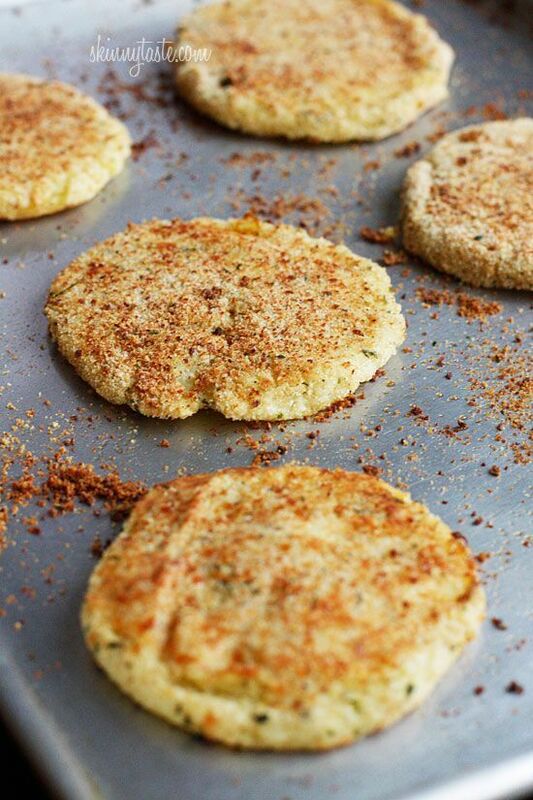 Simply add grated garlic, onion, carrot, parsnips, zucchini, or other vegetables to the batter before frying. 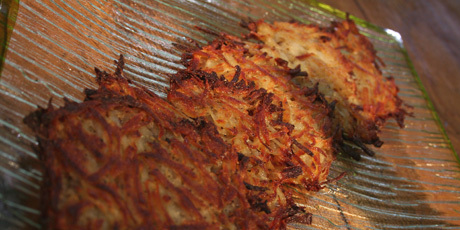 A quick search for potato pancakes or latkes will open a floodgate of recipes both traditional and new wave, like this version. Some are made from shredded potatoes while others are made from mashed potatoes-- both yummy!